Limestone, porcelain or any other materials check mosaic tile samples for modern kitchen backsplash ideas below. Modern long black matte finish kitchen backsplash tile with white quartz kitchen countertop. 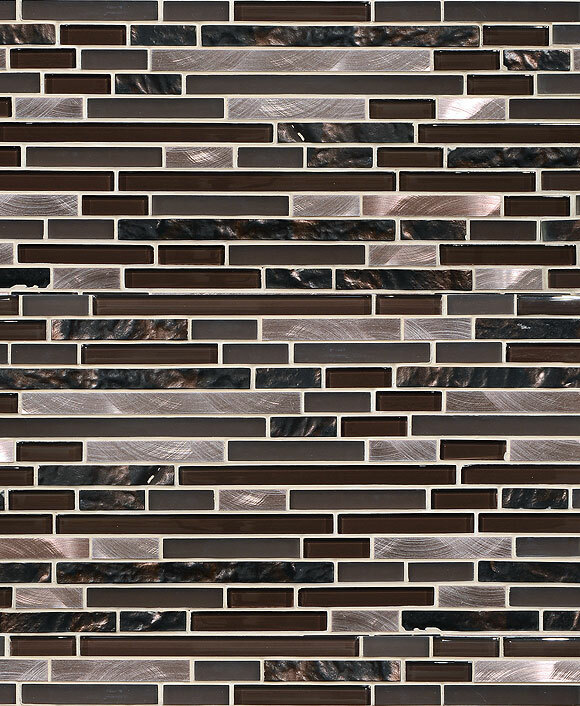 Modern Italian porcelain long black matte finish kitchen backsplash tile. Modern black kitchen cabinets, gray kitchen countertop with limestone backsplash tile. Black granite countertop with modern limestone kitchen backsplash tile. Modern gray kitchen cabinets, gray countertop with modern kitchen backsplash tile. Modern white and gray color mixed kitchen cabinets white quartz kitchen countertop with limestone gray modern kitchen backsplash tile. Backsplashes are basically durable wall coverings that will protect your wall from water splashes resulting in stains and molds. Since the kitchen wall is the most likely to come in contact with water, backsplashes always do a good job of keeping your wall dry and protect it from greasy food splatters so as to maintaining its aesthetic value and structural integrity. Moreover, tile backsplashes play a very pivotal role in the kitchen’s decor by harmonizing the various elements of design. Therefore, modern kitchen backsplash ideas can offer that missing link between your kitchen countertop finish, kitchen floor finish and all the other finishes in order to create a composition that speaks tons in terms of design. This type of finish can make you stick in the kitchen as it will look amazing. If you are determined to look for a modern kitchen backsplash ideas for your kitchen, there are many beautiful options that will have you in a dilemma. 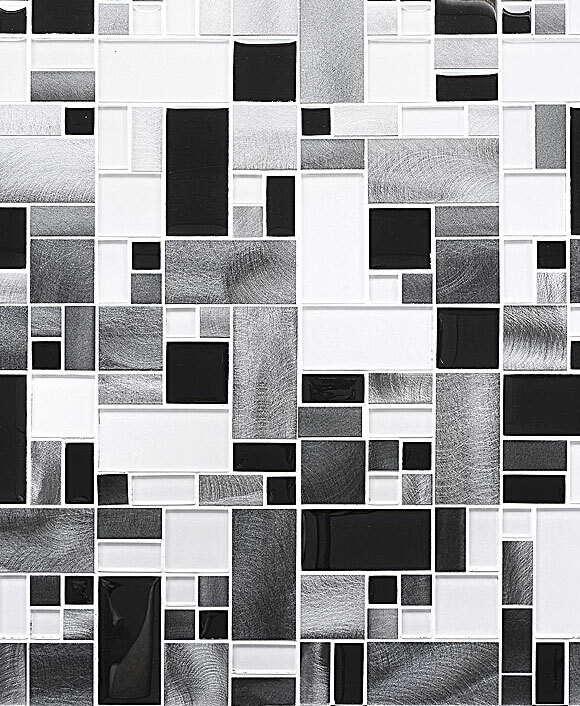 Tile backsplashes range from simple designs to very fancy futuristic designs. The basic categories include glazed tiles, porcelain tiles, stainless metal tiles, ceramic tiles, varnished wooden tiles and stone tiles. Moreover, you can find many fancy designs including mosaics, a mixture of stone and glass and other interesting designs. There is a wide span of incredible looking tiles in the market that you can choose from for modern kitchen backsplash ideas. There ceramic tiles, copper and other metal tiles, glazed tiles, stone and porcelain tiles. Furthermore, the above categories can be classified as matte or shiny finishes. Matte finishes fit well in a kitchen that is well lit while shiny finishes can amplify even a small amount of light in the kitchen, adding to the visual qualities of the kitchen. A shiny finish adds an extra glimmer and enlivens the kitchen. Shiny finishes include porcelain backsplashes, glazed tiles, and stainless bands. These surfaces are good for those people who enjoy cleaning. In order to make the right choice, it is always a good idea to take home tile samples that please you so as to see whether they match with the other kitchen finishes. The backsplash should match with the overriding theme of your kitchen if there is any. Always try to pick a backsplash that matches the color of your kitchen cabinets. If your kitchen cabinets are white, choose tiles of a lighter color and if they are dark, choose tiles that are dark. If you choose a contrasting color, your kitchen will look too busy and confusing, losing its aesthetic value in the process. Choosing a matching color serves to link the tile backsplash and the cabinets, giving them more prominence and hierarchy in the design. Large tiles in a small kitchen can distort the proportions in the room making it appear smaller than it is. On the other hand, tiles that are too small will have no impact in a large kitchen. In addition, they are likely to make the roof to appear very busy. A good size for tiles is one that commands its space and acts in support with the other design elements to create a complete design. For a contemporary kitchen, try to select a neutral tile design that acts as a backdrop for smaller kitchen utensils and appliances such as coffee makers, kettles and so forth. A neutral design lasts longer as compared to a fancy design that will be quickly outdated as more designs are created and styles and tastes change. A neutral look can allow you to sell your house easily if you decide to list it in future. Therefore, if you want to jazz up your kitchen, modern backsplash make a great design element that will make your kitchen the envy of your buddies. If you master the criteria of selecting them, the design of your kitchen will be unprecedented and your kitchen will appear lively. This entry was posted in BLACK, MODERN, TUMBLED HONED. Bookmark the permalink.